Entering into a partnership with a lab means choosing to interact with them for many years of your career. 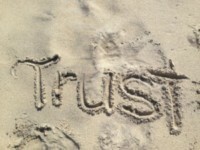 As with all good relationships, the set up between you and your lab should be built on shared values and trust. The way that a lab approaches learning, communication, and materials is specific to how they choose to do business and is representative of their values. Lab technicians should be useful partners when you’re working on a case and it should be easy to get in touch with the lab to discuss cases with them. You should be able to call and talk to someone who is not only friendly and helpful, but is also knowledgeable about dentistry and dental techniques. They may not be a dentist, but they can speak the same language and understand how you think. This goes hand in hand with responsible service. A lab you can trust will deliver predictable results. If anything interrupts this process, they’ll do everything in their ability to get things back on track. The quality of the materials a lab uses can make or break your cases. It’s important you choose a lab that’s utilizing brand name, top-notch materials you’re familiar with. They should be industry-vetted and consistent. A product that lasts longer and fits better makes your seat appointments more pleasant for both you and your patients. You should hold your labs to the same standards you hold yourself. Just like you take the time to invest in your education, your lab should be doing so as well. Their technicians should be going through their own continuing education and training in the best techniques for their chosen materials. All of this helps them stay on top of their industry. With the best materials and knowledgeable technicians, your lab can produce a product equal in quality, care, and service to what you’re delivering to your patient. And guess what? All three of these qualities exist at Gold Dust Dental Lab. We make each aspect a priority in our day-to-day efforts. What do you value most in a lab? Let us know your thoughts in the comments!